Would you listen to Report to Briselda again? Why? What other book might you compare Report to Briselda to and why? Cyrano DE Bergerac? Don Juan? Like I said... Totally smooth responses to an ultra suspicious woman's questions about the sincerity of her suitor. When she asks him about his infidelity to TWO of his former wives... She painted him into a corner... and he makes it out!... Unstained! A new "tone" for narrator Al Benelli. I've listened to many of his books and he generally sounds like a New York newscaster, but this time he sounded more like a southern preacher... almost like Morgan Freeman playing the role of a minister. Where does Report to Briselda rank among all the audiobooks you’ve listened to so far? Report to Briselda ranks at the top of all of the audiobooks I've listened to so far. Don Peavy seems hopelessly determined to find love and marriage at his own peril! I wouldn't compare the plot to Romeo and Juliette, but I do see similar intensity to find and share love. Mr. Peavy is determined to be married at all costs, and it seems as though nothing or nobody will stand in his way to accomplish his goal. What does A. T. Al Benelli bring to the story that you wouldn’t experience if you just read the book? A. T. Al Benelli's voice inflections and expressions certainly added life and meaning to what this author must have been feeling. 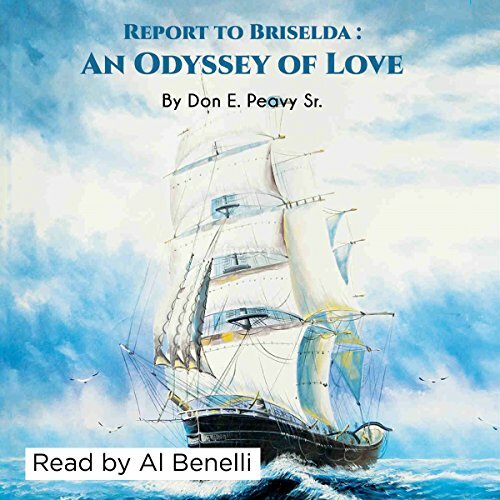 Mr. Benelli sounded like he was telling his own life story, as though he felt the pain and disappointment in each of Mr. Peavy's marriages. The most touching moment in the book for me was when Mr. Peavy left and divorced PC to find that her terminal cancer had returned. That had to play heavily on his heart and mind for a long time, especially since she lived such a short time after he left her. I commend Mr. Peavy on such a well-written and moving narrative, with all of the special effects of life, love, marriage and disappointments. His style and content set a new bar for a lover pursuing the woman he so desperately wants to be his wife.I commend Mr. Benelli for his excellent portrayal of the person who lived through such love and marriage ordeals. If there were not different names for the author and the narrator, one would think Mr. Benelli was narrating his autobiography. Both artists did outstanding jobs in his perspective role.